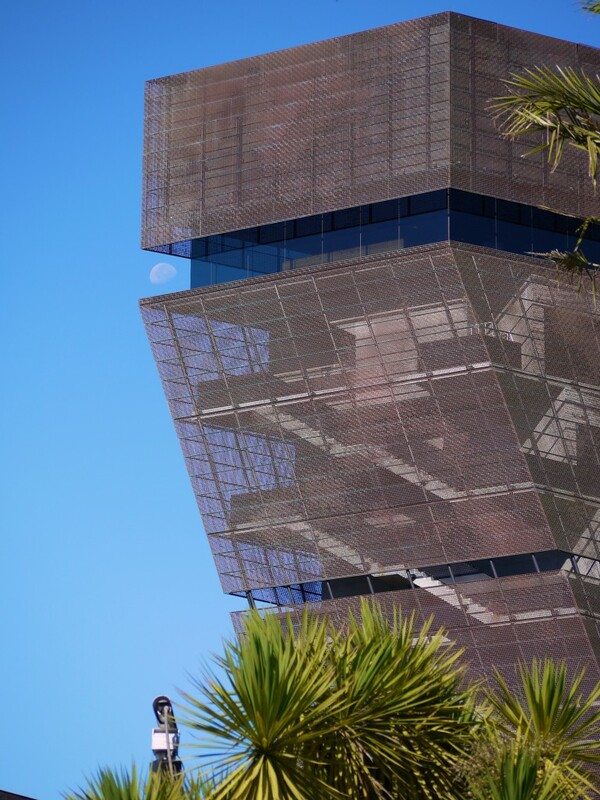 I was biking past the de Young Museum in Golden Gate Park when I spotted this great alignment of moon and museum tower. 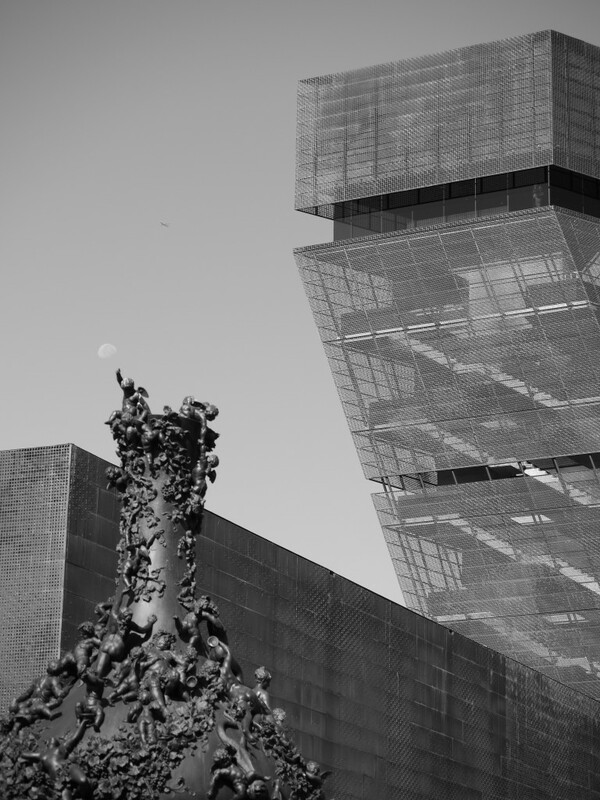 de Young Museum vs. the moon. The problem with this shot is that because of that essential alignment, I couldn’t frame the tower in such a way that the vegetation was out of shot and still show the height of the tower. This next shot has a nice composition, but I just don’t think it works in black and white; of course, I didn’t shoot a version in color. Sculpture, de Young tower, the moon. This entry was posted in places, things and tagged de Young Museum, Golden Gate Park, moon, San Francisco. Bookmark the permalink.